Original Thread: Shopkeepers...are the real heroes. 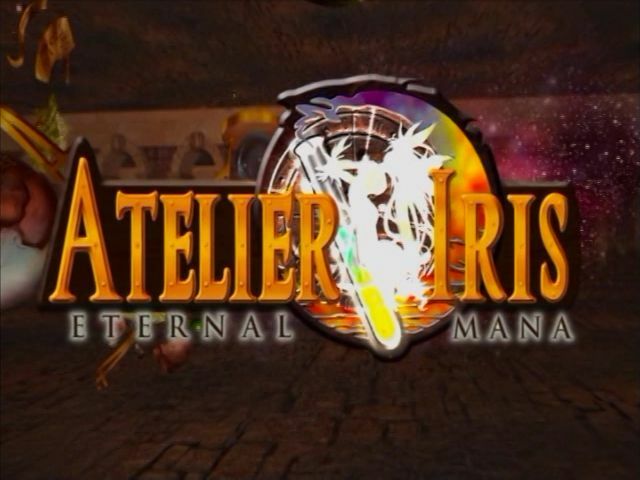 Let's Play Atelier Iris: Eternal Mana! I've played several RPGs, and as of yet I can't think of any quite like this one. Eternal Mana is a game that I think of as being far less than the sum of it's parts  it has many great ideas, and a couple less great but still kinda neat ideas, and yet on the whole it comes across as largely generic. The main characters are okay but largely forgettable, and the main plot is nothing to write home about, either. The gameplay is a bit better; there are several interesting and unusual mechanics, some of which were implemented well, others that weren't so much. As I said, though, there are several parts of the game that I think really deserve credit, and I hope to show them off with this LP. Some of the NPCs are surprisingly well developed, even more so than the main characters. In particular, a few of the shopkeepers have intricate and engrossing backstories that you can witness  or ignore  throughout the game. On a related note, this game puts a great deal of focus on item creation, with two main systems that allow you to make new and better stuff as you get through the game. Fortunately, I enjoy the game well enough despite it's mediocre parts, and so I'm here to show off the whole thing for you all so you can get the good bits without having to sit through too terribly much of the bad. As far as participation goes, you will of course be allowed to pick my party as the game progresses, and perhaps decide in what order I do things whenever we a bunch of options. As usual, please keep spoilers in tags, and try not to veer into spoilers for the rest of the series. And of course, please let me know if theres a Cool Thing you want me to show off, especially if it's missable.